We are very selective in who acquires a Tsavo puppy. As breeders, we have invested in our lines, our dams, and each puppy individually. In return, we expect the same dedication and devotion from our puppy families. We give each puppy a strong foundation of enrichment and socialization. And, we expect the new family to continue to shape and nurture their new Leo throughout its life. All companion or pet puppies will receive an AKC Limited Registration and placed with a spay/neuter agreement. A dog with a Limited Registration can compete in all AKC events except in conformation classes. If you feel you can provide an exceptional home for one of our puppies, please complete our questionnaire below. 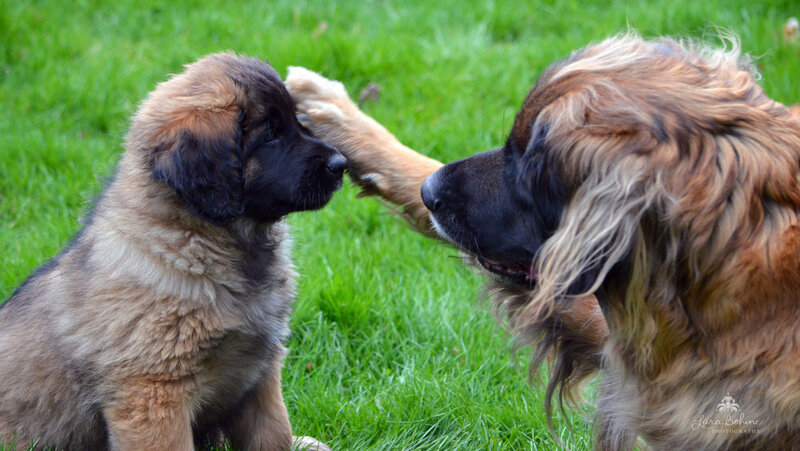 We would like to know about your home, your geographic region, goals, and your preferred traits in a Leonberger. Completion of the questionnaire will help us choose the right puppy for you and ensure that our puppies have the ideal families and homes they deserve. Your assistance in completing this questionnaire will only help us match the perfect puppy for your family and lifestyle. Please use this section to personalize your questionnaire. Thank you for taking the time to complete our questionnaire! Correct puppy placement is a top priority for us, you, and our puppies. If selected, it will guide us in matching the right puppy for you. Feel free to email us pictures of your family, home and other pets. We will contact you following review of your completed questionnaire. Once successfully submitted, you will receive a confirmation message.